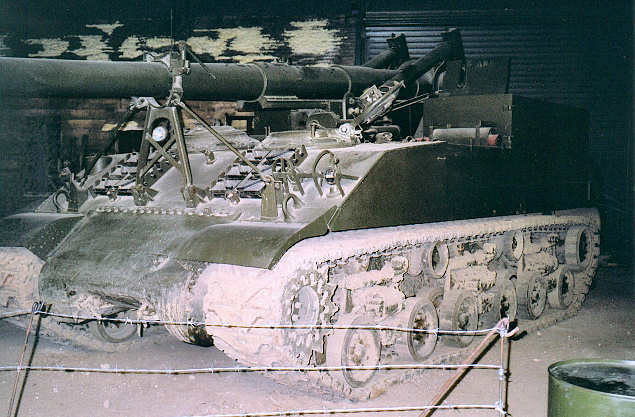 The US 155 mm Gun Motor Carriage M40 was built on an enlarged M4A3 chassis. 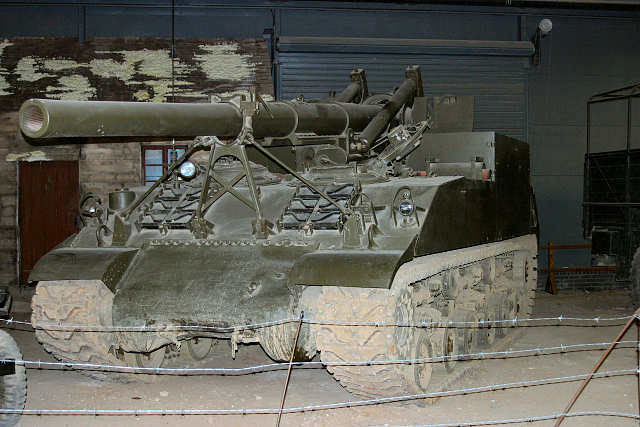 A small batch of M40s was delivered to Britain in post-war years and in British service this vehicle was designated "155mm SP, M40". They remained in service until about 1960. 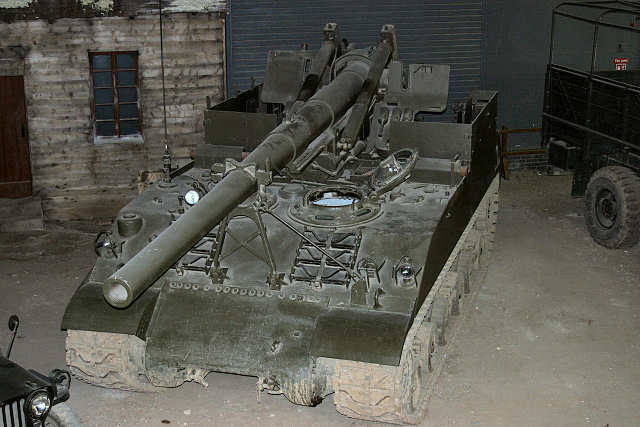 Sometimes known (unofficially) as "Long Tom".